The historic Whitehall Schoolhouse offers students the opportunity to experience learning in a historic classroom with a teacher in period costume. The town of Windsor, Colorado, (pop. 18,644) was incorporated in 1890 and is located in northern Colorado, nestled between the mountains and the plains. The region’s rich alluvial soil supported extensive wheat production and, with the advent of ditch irrigation, sugar beets. Booming sugar beet cultivation in the late 19th century attracted many German-from-Russia families, and brought a period of wealth and growth to the community. Windsor’s historic buildings are a testament to the wealth and influence of the industry. Sugar beet production remained the driving force behind the town’s economic development until the industry’s close in 1966, and a Kodak processing plant and other industries kept subsequent generations of Windsor residents employed. Despite substantial growth since 1990, Windsor maintains its small town charm and continues to attract families and green industries alike to its increasingly diverse community. The town of Windsor is a Certified Local Government, and its historic preservation commission receives administrative support from the town planning department. 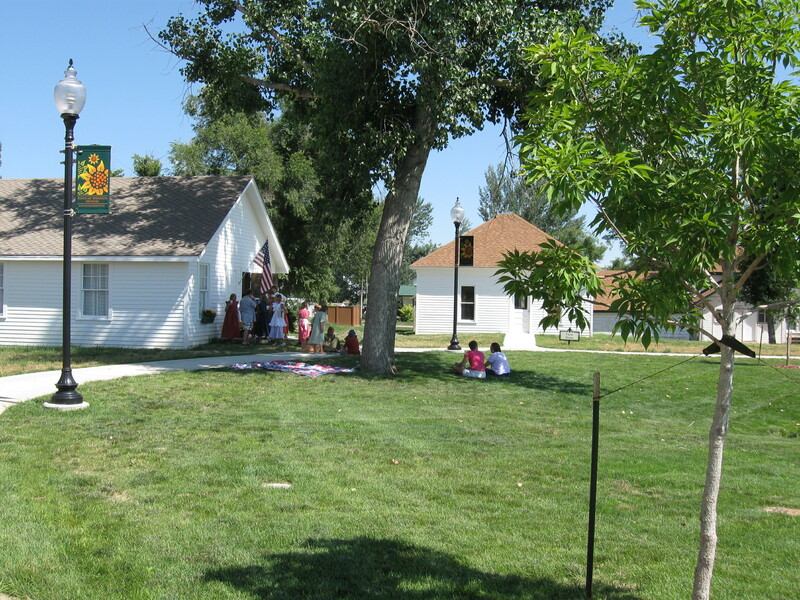 Windsor completed a cultural resource study in 2010 with the support of the State Historical Fund, a branch of History Colorado. The survey identified properties eligible for the National Register of Historic Places and local landmark designation within a two-block area of downtown Windsor. The project, which provided historic information about each structure and a comprehensive report for public use, proved a catalyst for further local landmark designations and lent additional support to the revitalization of Windsor’s downtown. Windsor is also an active participant in the Cache La Poudre Heritage Alliance and in 2011 was a partner in producing a guidebook for the Cache La Poudre River National Heritage Area, which encompasses the flood plain of the Cache La Poudre River in Colorado and commemorates the role of water development and management in the American West. The Town of Windsor Museum, developed by the Windsor-Severance Historical Society, serves as steward of a material collection of approximately 20,000 objects, including documents, artifacts, and five historic buildings connected to the town’s history. The museum provides the educational community on-site programming, material resources, and training to facilitate classroom integration of these resources. A curriculum with direct correlation to Colorado State Teaching Standards, traveling trunks, visits to historic buildings, and special exhibitions geared toward schoolchildren allow the Town of Windsor Museum to engage students with new ideas and perspectives on local history. To honor the German-from-Russia heritage of Windsor’s past and current residents, the town hosts a yearly Oktoberfest spotlighting Volga German traditions, including Dutch-Hop music and dance, food, and culture.